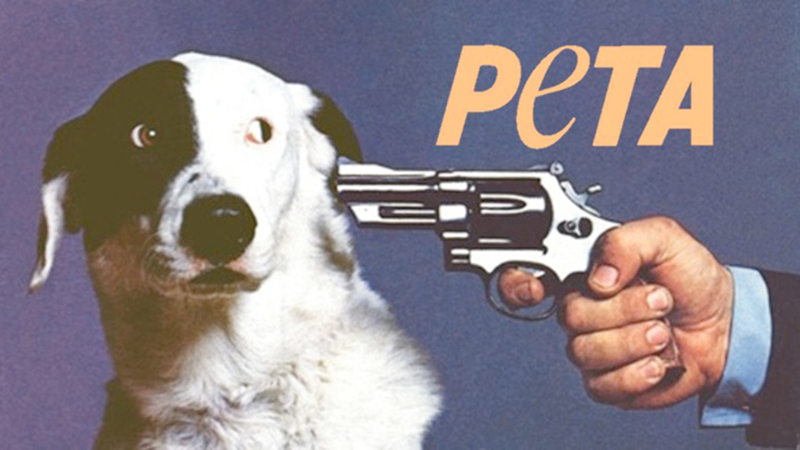 ANIMAL rights charity PETA has once again massacred scores of potentially adoptable pets. 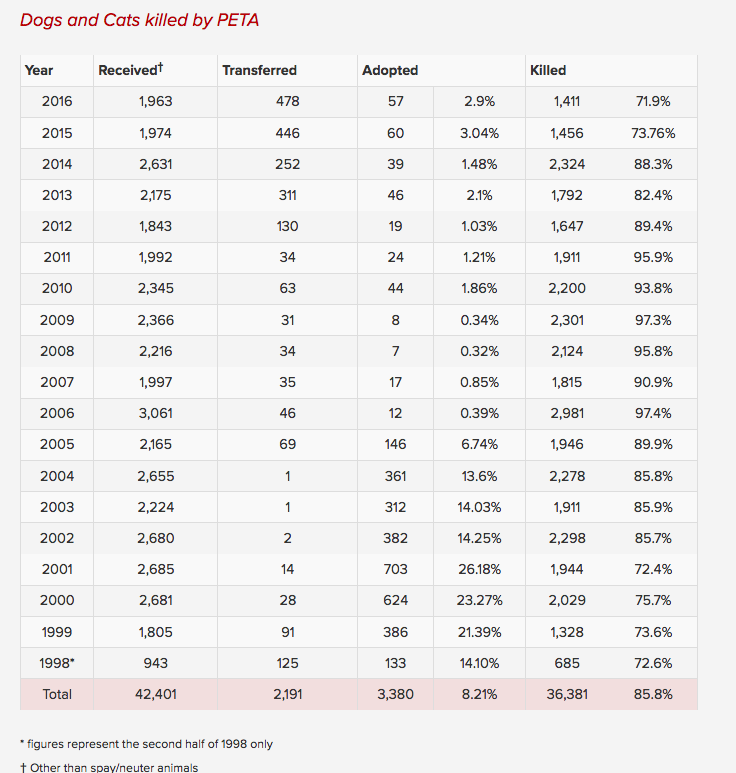 Shocking new figures from the Center for Consumer Freedom revealed that last year 1,411 cats and dogs died in Virginia at the hands of PETA activists, who claimed to be collecting money for animal welfare. 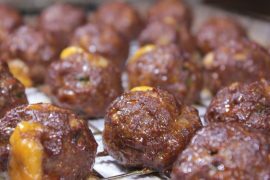 While many well-meaning donors left legacies and donations, believing that their life-long savings would be used directly to fund animal welfare, in 2016 PETA shamelessly killed 71.8% of animals that came to their centre, which is almost four times more than other animal shelters in Virginia. Donors will be horrified to learn that a 2010 inspection of animal custody records conducted by a VDACS veterinarian discovered that 84 percent of animals PETA “saved” were killed within 24 hours. PETA has even bought a walk-in freezer where it stores the bodies in trash bags. Since 1998, thirty six thousand animals became victims of PETA’s slaughterhouse. While people expected their hard-earned cash to be put to a good use, PETA on average killed 1,895 animals per year. According to PETA’s president Ingrid Newkirk animal rights extremists are only forced to do the “dirty work” on cats and dogs that end up homeless and unwanted. Virginia lawmakers are concerned about PETA’s extraordinarily high rate of euthanasia and even set out to redefine the term animal shelter to refer to a place whose primary mission is to find a permanent home for pets. A few years ago PETA stole and killed a dog from a family’s front porch. The perfectly healthy and adored animal ended up being euthanised by so-called animal lovers for no obvious reason, much to the horror of its loving owner. Unfortunately PETA’s culture of death isn’t limited to pets. It advocates the mass killing of outdoor cats, arguing they’re better off dead than being released back into the community. In response, PETA says that the euthanasia should be in context of the vast ways the organization helps animals. 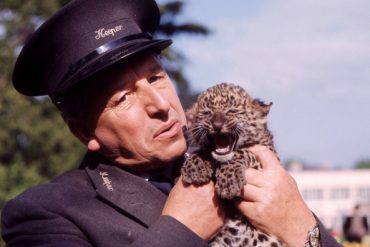 It did not deny killing more than 1,400 animals last year. The PETA email said that its kill rate is higher because it takes animals that other shelters won’t accept. 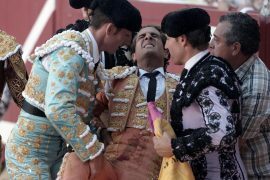 Activists and animal rights supporters accused of making sick comments after bull fighter is gored to death. oh my God! Knew of their horrific reputation years ago, but thought they changed. I am done with them. Thank goodness I only gave them small and rare contributions. So sad.